DETROIT -- Volkswagen CEO Matthias Mueller said the embattled automaker’s top priority in 2016 is winning back customer trust and credibility in the wake of violations over diesel emissions rules. Mueller’s remarks are his first in the United States about the scandal since he was named CEO of the Volkswagen Group in September. They come ahead of a key meeting Wednesday between Mueller and EPA officials on VW’s plan to fix its noncompliant diesels. “We will offer some solutions and then we will see how the reaction will be,” Mueller said. He offered no specifics about when fixes for nearly 600,000 U.S. diesels with software designed to cheat on government emissions tests would be available, only saying they would be deployed when approved by U.S. regulators. The violations have subjected VW to hundreds of lawsuits from angry owners of the affected diesels, in addition to investigations by the EPA, California Air Resources Board, a coalition of states attorneys general and the U.S. Department of Justice. Meanwhile, government frustration with Volkswagen’s handling of the crisis, both before and after the violations came to light, appears to be growing. The New York Times reported Monday that several state attorneys general openly criticized VW’s refusal to turn over documents in the course of their investigations, citing German privacy laws. Mueller told reporters Sunday that the dispute stems from a difference between U.S. and German privacy laws. In a civil suit filed last Monday, the Department of Justice said VW “knowingly concealed facts” and provided “misleading information” to government agencies prior to VW’s admission that it had installed the illegal software. After submitting a draft recall plan to the EPA and CARB on Nov. 20, the EPA said last week that “recall discussions with the company have not produced an acceptable way forward." Mueller told reporters the “dialogue is very constructive” with U.S. regulators and that the company has “appropriate technical solutions” to bring the diesels into compliance in the near future. Volkswagen of America Michael Horn told reporters that the talks on Wednesday are predominantly “political” in nature rather than technical. In his speech, Mueller reaffirmed the company’s commitment to the U.S. market, including its $1 billion plant in Chattanooga, which is undergoing a $900 million expansion to make room for production of a new midsize crossover to go on sale in early 2017. 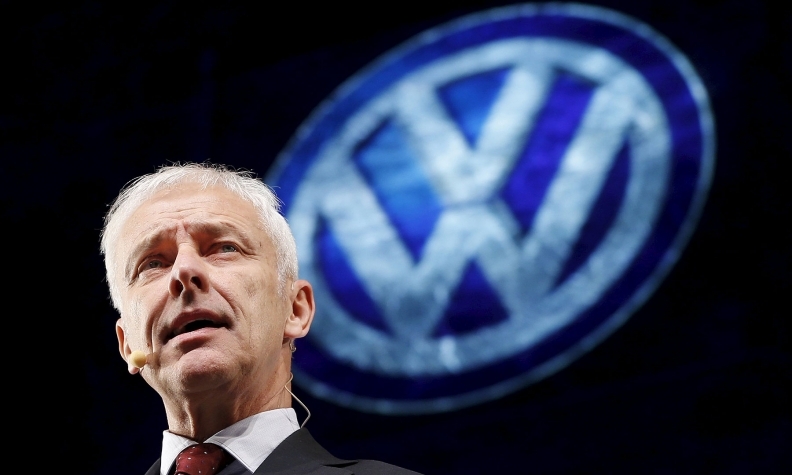 Volkswagen’s U.S. sales slipped nearly 5 percent last year to 349,440 vehicles. Horn said the VW brand was unlikely to see higher U.S. sales in 2016, noting that growth wasn’t the brand’s biggest priority at the moment.